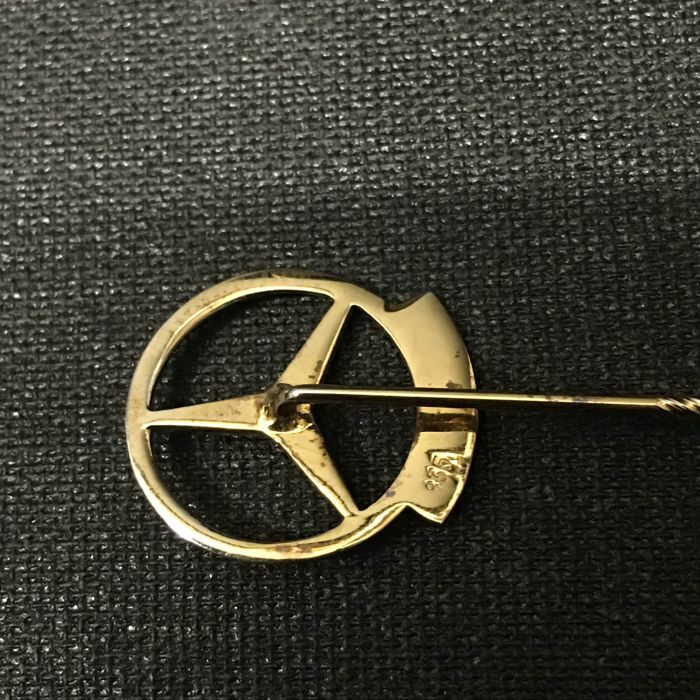 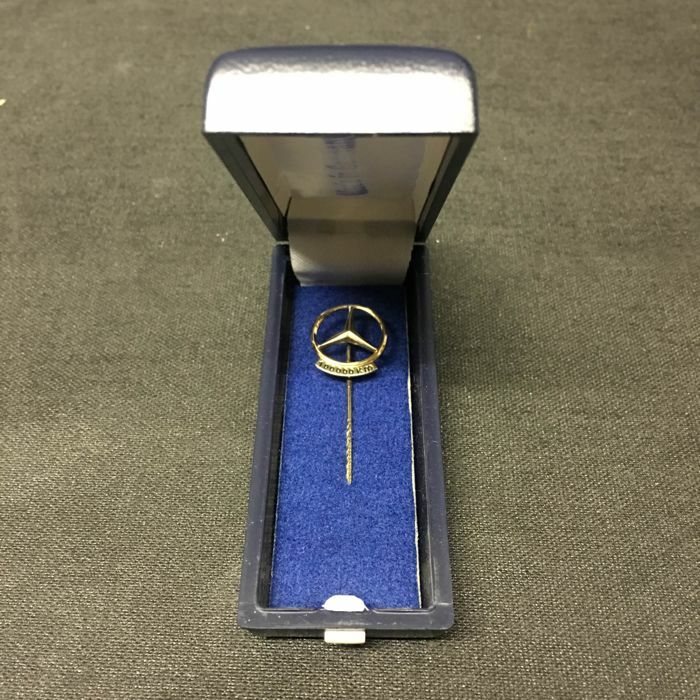 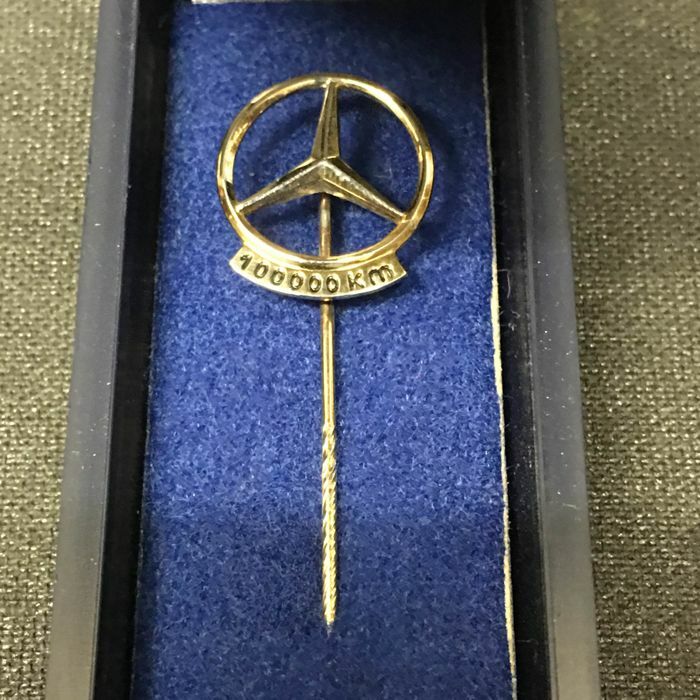 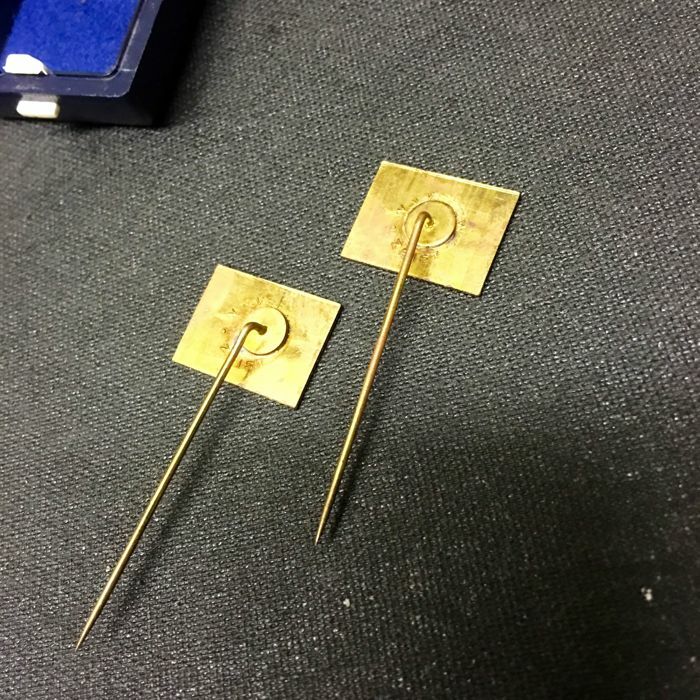 Gold-plated Mercedes pin 100,000 km silver content 835. 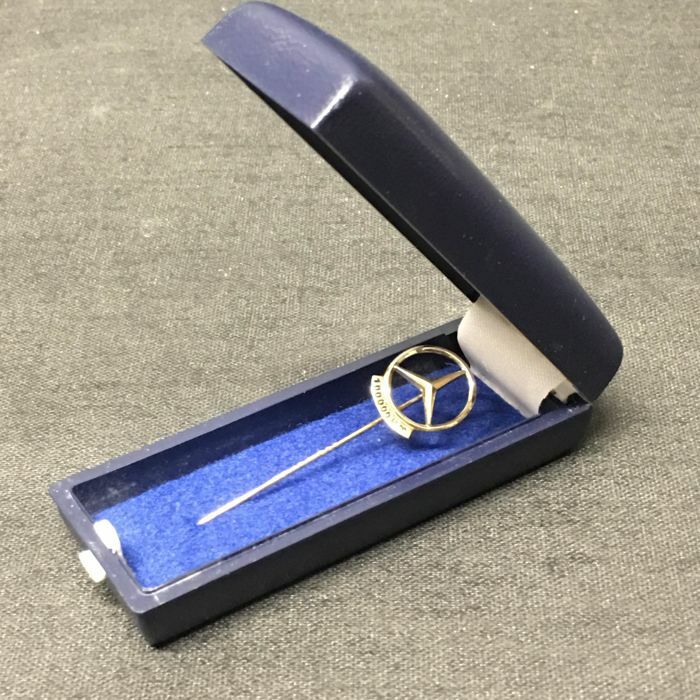 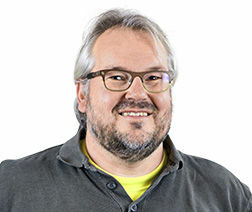 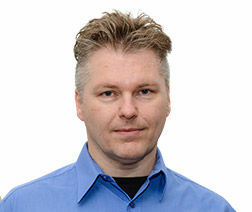 Awarded at the time to Mercedes owners who travelled 100,000 km with their vehicle. 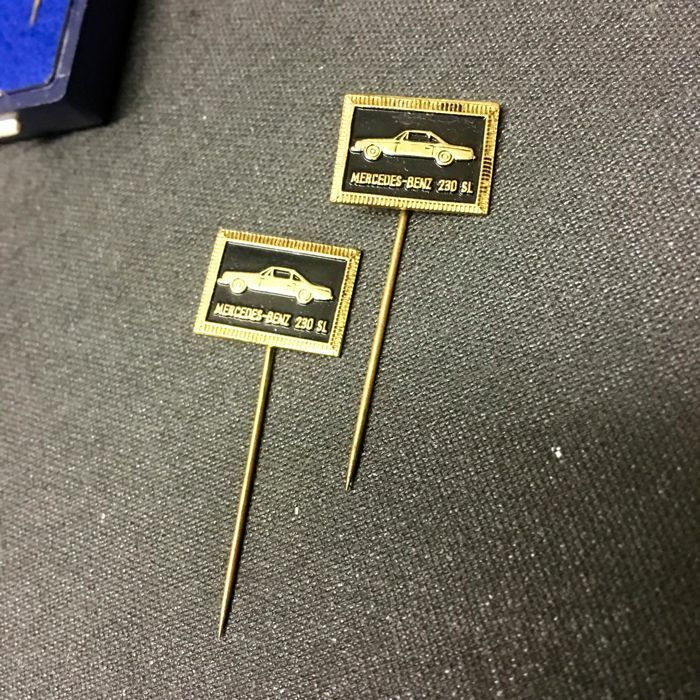 Are no longer being issued - a collector’s item. 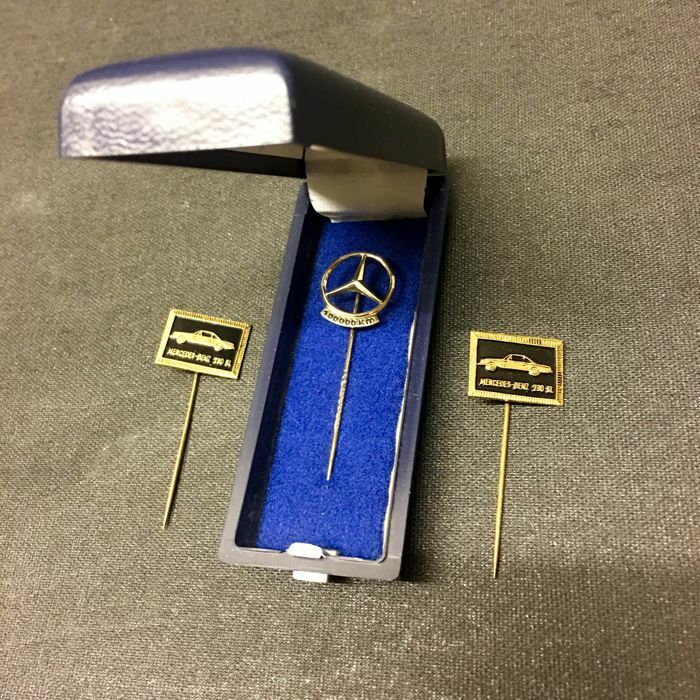 Plus two antique pins with a depiction and description Mercedes Benz 230 SL.